Matthew Grayson is an expert in the design, fabrication, and electrical characterization of electronic devices and materials. He has specialized in studies of the low energy excitations of such low-dimensional electron systems as quantum wells, one-dimensional wires, electron-beam patterned structures, and both integer and fractional quantum Hall edges. Recently he has also developed new advances in thermoelectric materials with the concept of transverse thermoelectrics for integrated thermal management. He has developed new III-V semiconductor crystal growth techniques such as corner overgrowth and shadow overgrowth, and has advanced the technique of cleaved-edge overgrowth to create novel embedded heterostructures for tunneling spectroscopy. Laboratory measurement capabilities include electron transport over a continuous temperature range from 15 mK to r400 K, and high magnetic fields up to 17 T. Systems of interest are thermoelectrics, aisotropic conductors, Luttinger liquids, quantum Hall ferromagnets, Type II superlattices, and multivalley quantum systems. Matthew completed his PhD studies at Princeton University with Prof. Daniel Tsui studying tunnel spectroscopy of fractional quantum Hall effect edges. 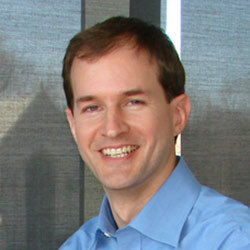 His post-doc work at the University of Maryland investigated the infrared Hall angle of cuprate superconducting films. He then won a Humboldt Fellowship to research in Germany at the Walter Schottky Institut of the Technische Universitaet Muenchen, where he remained for 7 years leading a small research group. He joined Northwestern in 2007 and has been an associate professor in the Electrical Engineering Department of Northwestern University since 2012.